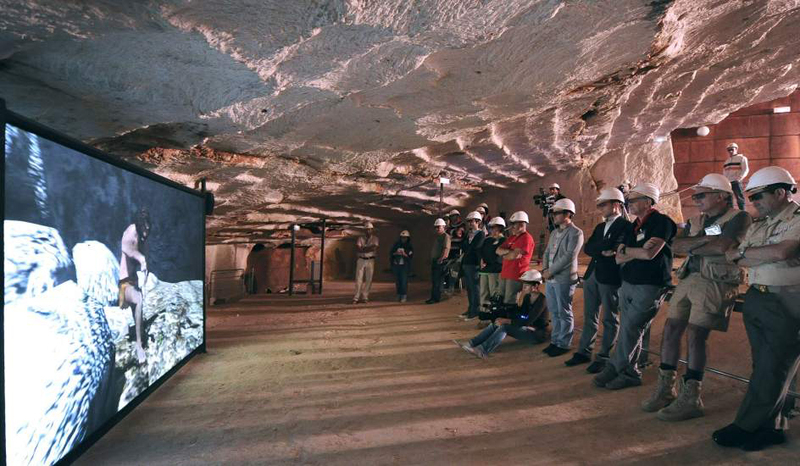 Visit to the Atapuerca sites, declared patrimony of the humanity, has since this Monday with an audiovisual presentation in three dimensions that helps to understand the life of hominids that lived in the mountains of Burgos at different stages of human evolution. Under the name of ‘The cave of time’, visitors can choose from four videos with animations in three dimensions, in which it is possible to see a recreation of the environment in which they lived the homínidos ones, as well as some of the daily activities of species such as Homo antecessor, H. heidelbergensis, H. sapiens and H.neanderthalensis (Neanderthal man), which is knownalso lived in the saw of Burgos, to still not have located skeletal remains yours in the area. The system has been installed in the so-called ‘cave of the compressor’, a former underground quarry which supplied the work of the mining railway that crossed the mountains of Atapuerca and which now allows you to reproduce the atmosphere of a cave, with high concentration of moisture and a nearly constant temperature of 10 degrees. It is an installation in which visitors can travel also helped in four languages, the landscapes of the different eras of the sierra and the interaction of the animals that inhabited the area at each time, and a special pair of glasses from more than one million years ago to almost the present. This tool of dissemination has meant two years of work, and its result is included, even before its commissioning, in V-Must, the network of technological excellence in museums of the European Union. According to one of the three co-directors of Atapuerca, Eudald Carbonell, the tool will help disseminate the importance of the finds at Atapuerca, a complex of deposits of 12 square kilometers with remains of more than 1.5 million years of human evolution history in which 90% of human fossils are concentrated in more than 300,000 years found on the planet.